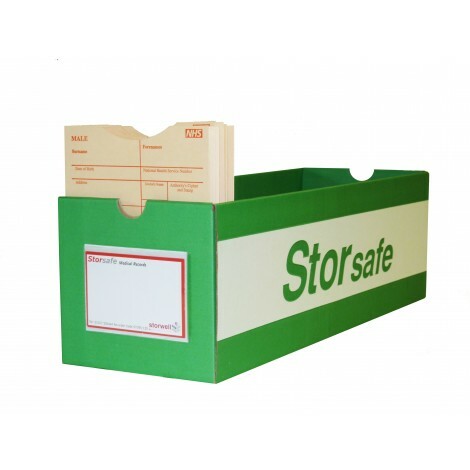 Lloyd George Boxes Have you recognised a need for improved organisation for medical records? If so then our patented Lloyd George Storage Boxes are a practical solution for you. They are ideal for local practices and larger hospitals. Available in both mild steel and cardboard. Lloyd George Storage Boxes are strong, sturdy, and hard wearing. They ensure a long lasting solution to the age old problem of running out of storage. Lloyd George Boxes Each box is perfectly designed to hold as many Lloyd George records as possible. Each box holds up to twenty six Lloyd George records, to allow for ease of access and high density storage. Our Lloyd George Storage Boxes are perfect for the expanding surgery. 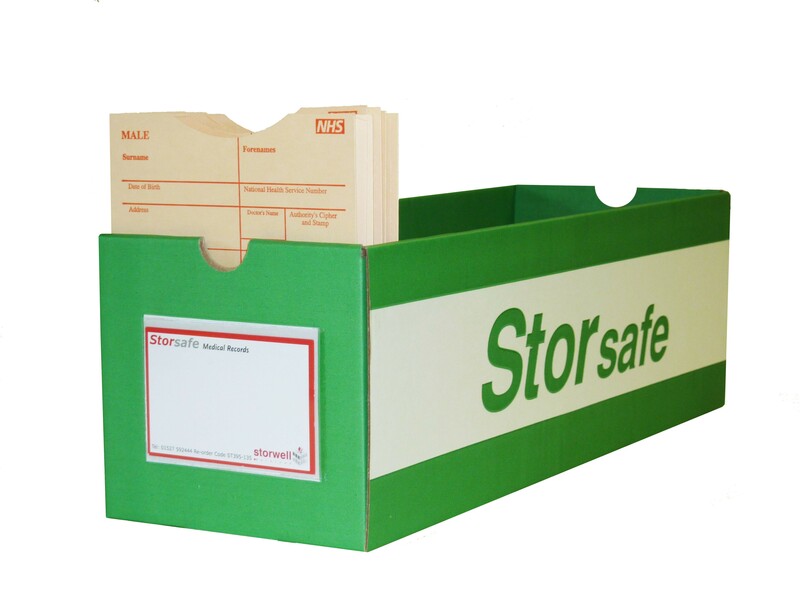 They can help organise patient records in no time. Our Lloyd George cardboard boxes come in a lovely shade of green. Available in packs of fifty. Storwell Systems also supply mild steel boxes in sets of fifty. Cardboard boxes are quick and easy to put together. They are supplied flat pack but take less than two minutes to assemble each box. Below is a video to show just how easy it is!